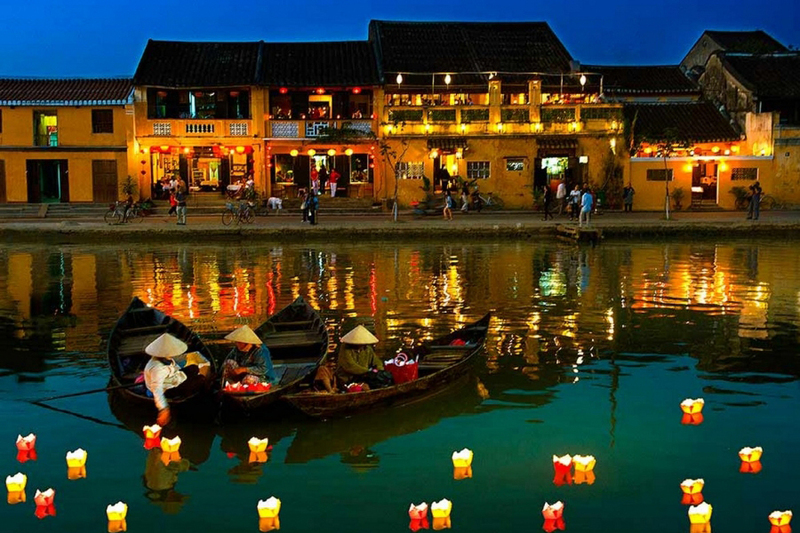 In the morning, we will come and pick you up at the port in Hue or Da Nang and we start hue shore excursion. 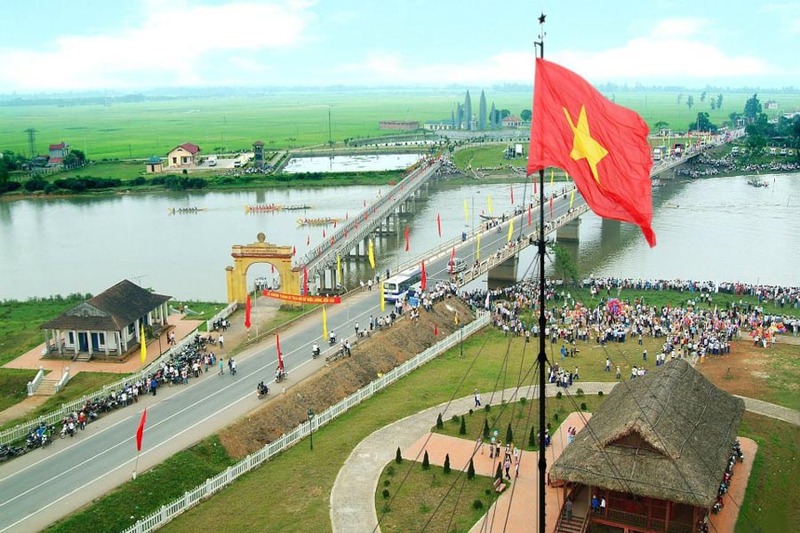 Today we will explore Hue city – the ancient capital city of Vietnam in Nguyen Dynasty (1802-1945). First, we are going through rice paddy fields and villages of Hue. 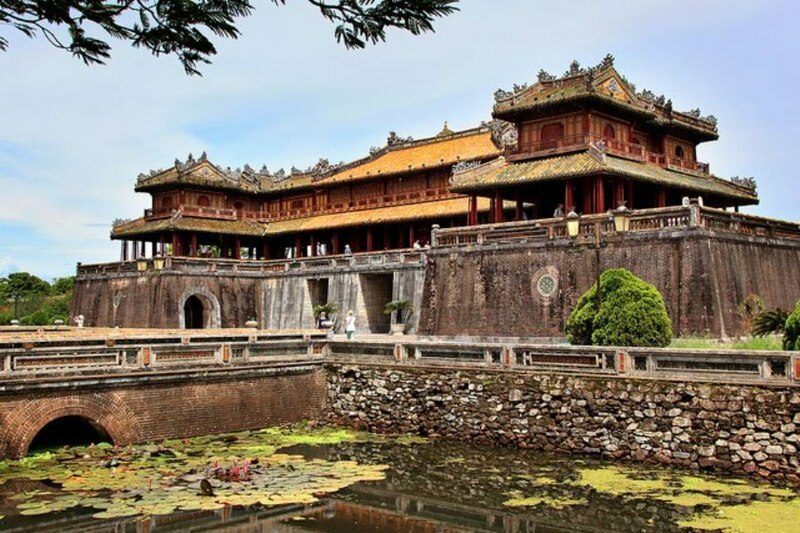 On arrival in Hue, we firstly visit Hue Citadel which covers an area of five hundred hectare and has a system of three circles including: the Citadel, the Imperial city and the Forbidden city. Of which, the outer wall Citadel was started to be built in 1805 under Emperor Gia Long and finished in 1832 under Emperor Ming Mang. And under Nguyen Dynasty, the Emperors ordered to build lots of temples, palaces and homes and entertainment places for royal family to live. 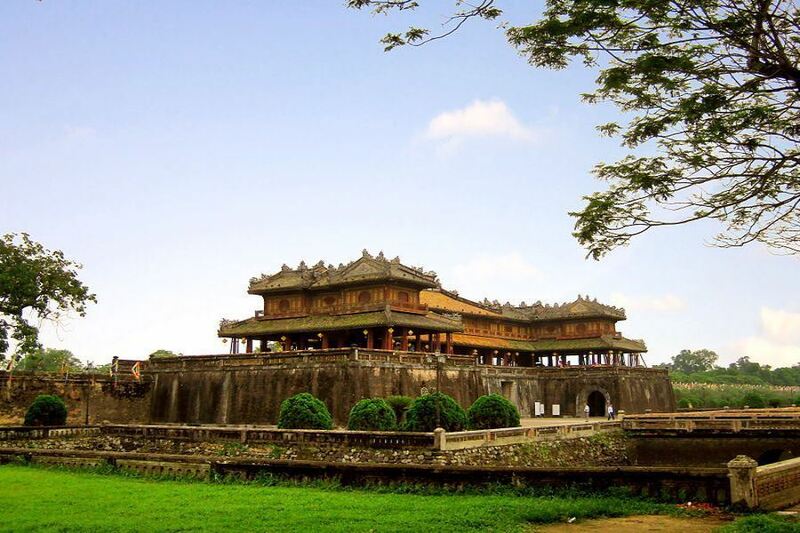 Although the site was devastated in Vietnam war but it is still original with around 140 small and large constructions. Next, we will then stroll around this huge complex to visit Noon Gate, Thai Hoa Palace, Royal Theatre, Truong Sanh Residence and so on. After that, we will take you for lunch in a local restaurant where you can taste some of Hue’s royal specialties. Following hue shore excursion tour with a short drive to one of the most beautiful pagodas and religious centers of Hue city – Thien Mu Pagoda or Pagoda of Heavenly Lady. Built in 1601 between a river and a pine forest, Thien Mu Pagoda Hue is one of the oldest and prettiest religious buildings in the country. Moreover, the place has a brilliant view of Perfume river with very green pine forest. 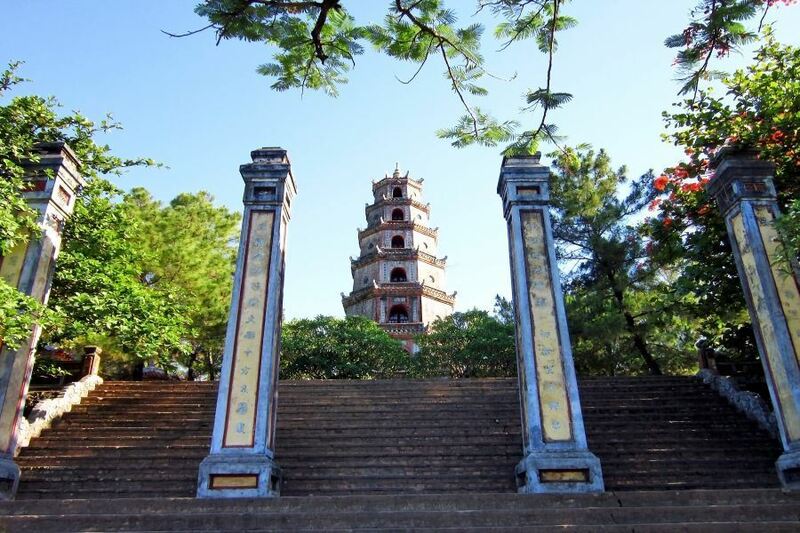 Located in the middle is 7-level pagoda with small pavillions on two sides carved with some poems of Nguyen Emperors. Then Dai Hung sanctuary where people come and pray and behind the complex is an old car that took the monk Thich Quang Duc to his self-immolation in 1963 in Saigon. 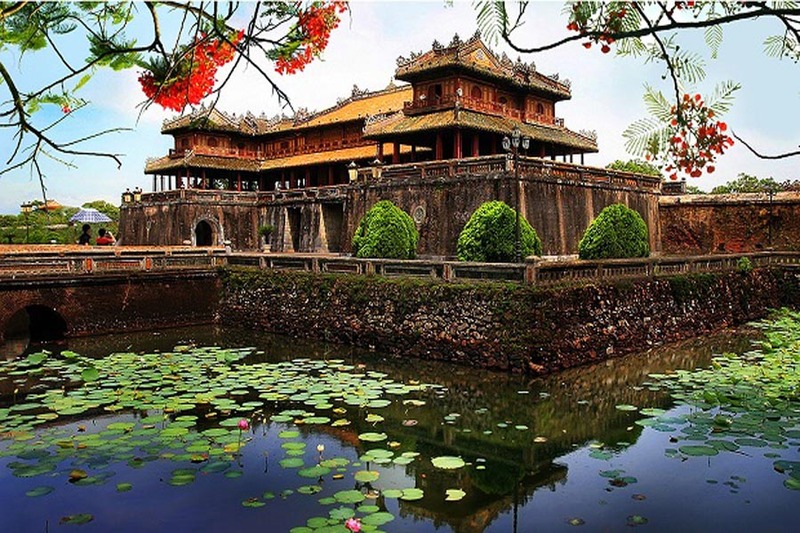 Finally, we will come and visit tomb of Tu Duc Emperor with sophisticated architecture, charming landscape and is one of the most beautiful tombs of the Nguyen Dynasty. The tomb is roughly 12 hectares with around 50 constructions including lakes, palaces, pavilions, temples, altars, etc. Furthermore, this tomb is located in a beautiful natural park with a beautiful lake on the side. And the Emperor Tu Duc came here in the old days to rest and enjoy his summer time with his concubines. 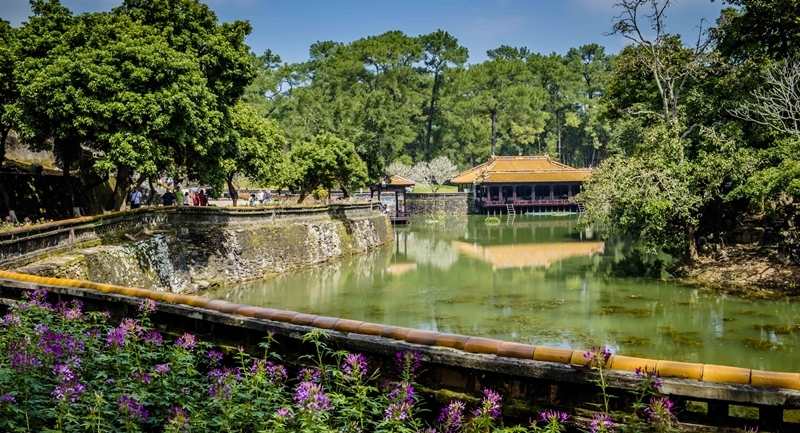 So at arriving in Tu Duc tomb, we then wander around and visit the Emperors’ former office and his residence as well as some beautiful temples, buildings of the area. Eventually, the guide and driver will transfer you back to the port. Then hue shore excursion will finish here. What does hue shore excursion offer to you? 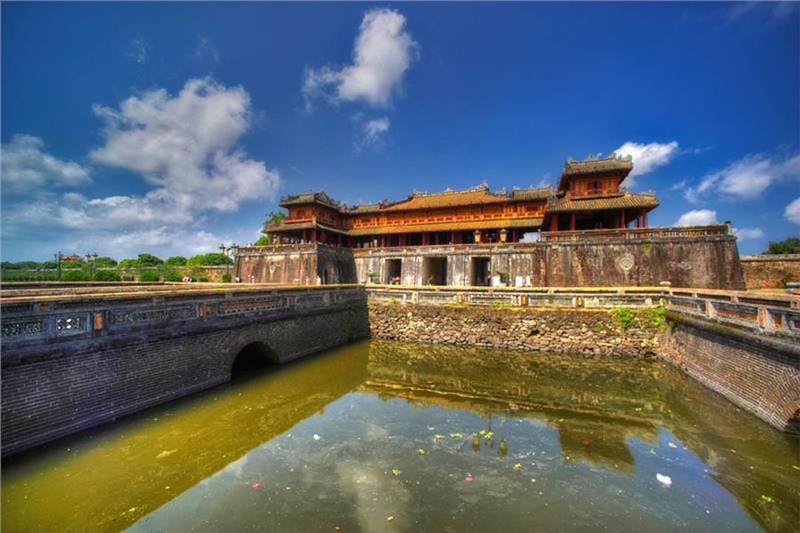 This tour will take travelers to discover Hue ancient capital. 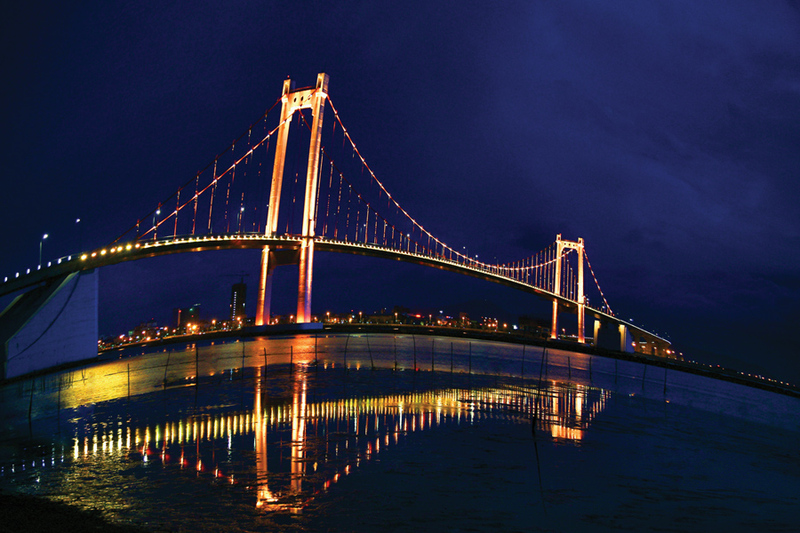 Thus, Hue is one of the prettiest cities in Vietnam with peaceful scenery and amazing landscape. 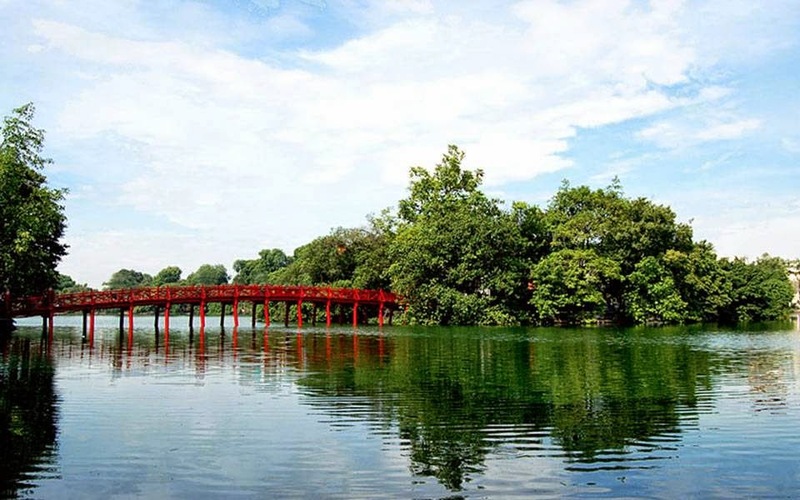 And when you are coming to this city, the visitors not only know about sophisticated architecture of Hue monuments complex but also find out some special features of Hue’s royal food. 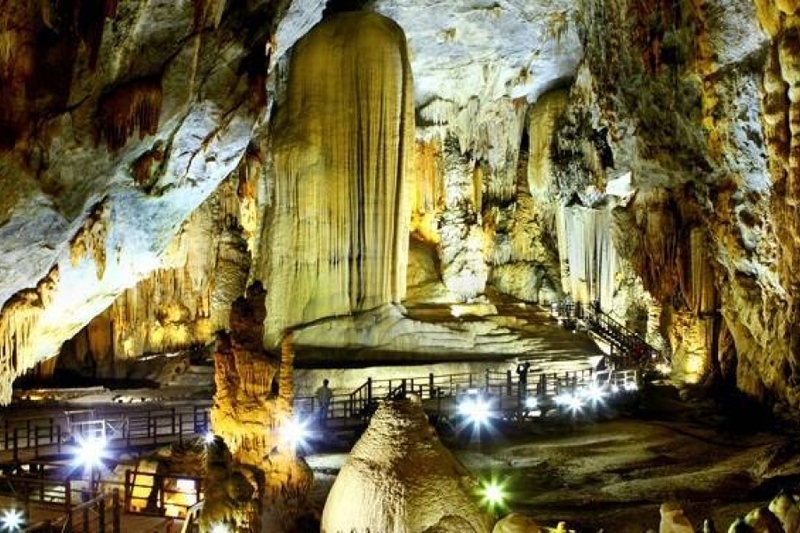 So, this tour is privately well designed and will be a truly amazing experience for you. In months of October, November, December; it usually rains in Hue; please bring rain coats and cold jackets.